Continue providing affordable legal immigration help for families and for victims of domestic violence. 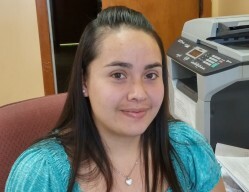 Click the DONATE NOW button on our website amigoscenter.org and make your contribution by credit card or by Pay Pal. We are truly blessed by your trust and partnership. By God’s grace we will continue to have an impact on the future of the many families who continue to immigrate to our community from all over the world. Thank you for making it possible. My name is Eileen Ortegon. I'm a member of Amigos en Cristo since I came here in 2012. My father in law is a Lay minister and my husband is a member of the church. I was looking for a church that I could feel good and also that I could feel the presence of God in my life, that's why I became an active member of this church because I liked so much the services and I felt good with Pastor Selle as a guide and a person. I liked the way that he always helps the community and the families in order to help them to keep together. 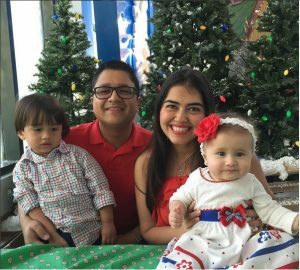 I felt very blessed with him as a guide in our life so I married through Amigos en Cristo, and also my two children were baptized in the church. In addition, on the past November 1 my husband and I became official members of the Amigos en Cristo church through confirmation. We are very involved with the community and we want to keep helping Amigos en Cristo grow and people like us to find the way to be close with the kingdom of God. I would like to express my gratitude for all the help that Amigos Center has provided me over the years. I was first introduced to Amigos en Cristo after hurricane Wilma hit Immokalee. I volunteered to assist in caring for the children while their parents cleaned the much damaged community. I was immediately impressed by the sense of unity and the genuine will to help the community. 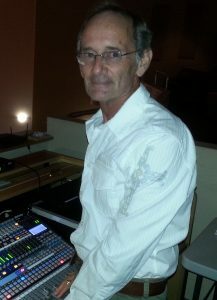 Pastor Robert has since been there to help me and my family. Shortly after I married my husband, Pastor Robert offered us the opportunity to take part in a financial class by Dave Ramsey. I sincerely thank Pastor Robert and the Amigos Center for offering us this course, because it has definitely been a great financial tool for my marriage. The Immokalee Amigos Center informed me and my family that the Mexican Consulate was going to be at the Bonita Springs Amigos Center for one day. We were all able to get our passports and also were able to save a little on transportation to Miami thanks to the Amigos Center. When the Deferred Action plan for early childhood arrivals was approved, all of my paperwork was submitted by the Amigos Center Immigration specialists. I now have an employment authorization card and a driver's license. I consider this a huge blessing. I am proud to also say that I am now employed as a secretary at the Immokalee Amigos Center. This is yet another blessing made possible by the Amigos Center. Since my employment began, I continue to witness the same sense of unity that caught my attention many years ago. It is also a great feeling to now be an official member of an establishment that genuinely wants to help the community. I cannot explain how great this feels. All I can say in conclusion is: Thank you Amigos Center. Immokalee, FL – On December 6, 2015 over a hundred people gathered at the Immokalee Amigos Center to participate in the ordination and installation of Saint Luc Charelus. Accompanied by his wife, Masinam, his mother, his brother, one of his seven children, members of Bethlehem Haitian Church – LCMS and local clergy, Rev. Charelus made his solemn vow that with the help of God he will perform the duties of the pastoral office in conformity with Holy Scripture and the Lutheran Confessions. Rev. 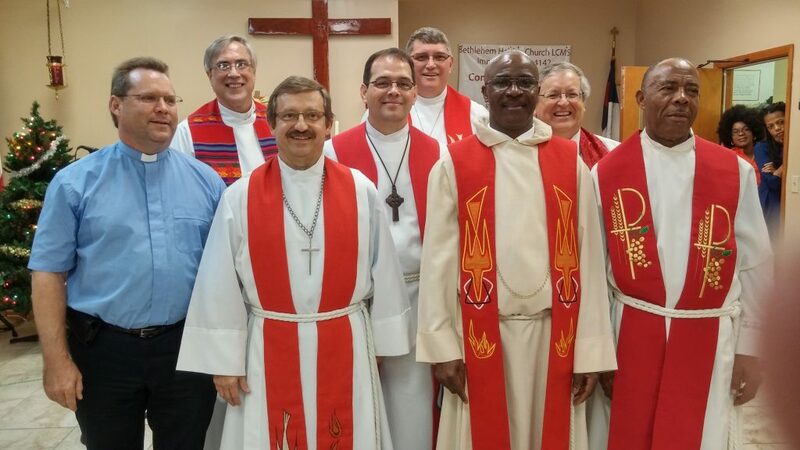 Jon Zehnder, Second Vice-President of the LCMS Florida-Georgia District, vested Saint Luc with a red stole, symbol of the pastoral office. Rev. Richard Browning, Circuit Visitor and Saint Luc’s mentor for the past 5 years performed the rite of installation. Rev. 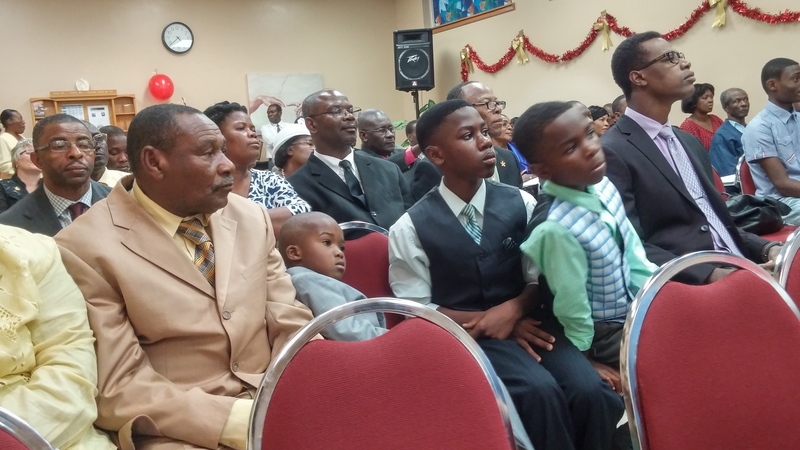 Charelus now joins Pastor Andre Mezilus as part of the pastoral team of Bethlehem Haitian Church. Vicar Karl Glander (Immokalee Lutheran Church), Rev. Robert Selle (CEO and pastor of Amigos en Cristo, Inc.), Rev. Curtis Deterding (Zion Lutheran), Rev. Richard Browning (Hope Lutheran), Rev. 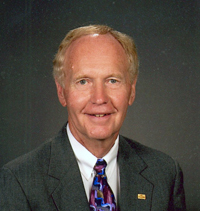 Keith Lingsch (Grace Lutheran), Rev. 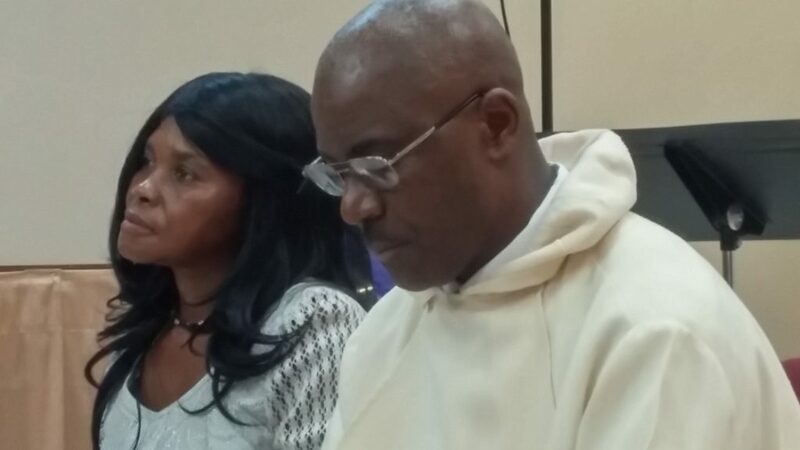 Saint Luc Charelus (Bethlehem Haitian Church – LCMS), Rev. Jon Zehnder (St. Michael’s Lutheran) and Rev. Andre Mezilus (Bethlehem Haitian Church – LCMS). Both pastors are bi-vocational, working in a secular job to support their families while still serving as pastor. Both Rev. Charelus and Rev. Mezilus are graduates of the Ethnic Immigrant Institute of Theology (EIIT) at Concordia Seminary, Saint Louis, MO. The model of bi-vocational pastors is a viable model for our ethnic ministries, especially because of the economically depressed population that our ethnic ministries often serve. An anonymous donor laid down the challenge and you responded. In October, one of our wonderful volunteers made a pledge to match dollar-for-dollar up to $15,000. 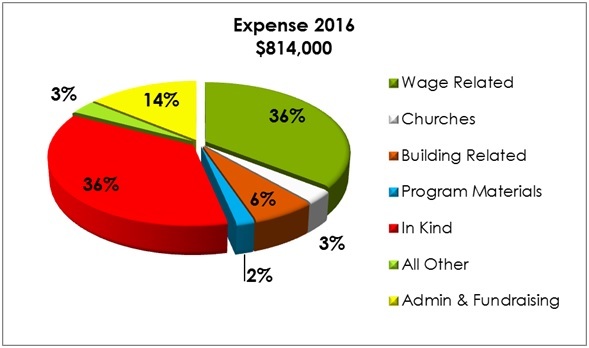 All donations to Amigos Center received by December 15, 2015 that exceeded the donor’s gift in 2014 would be matched dollar-for-dollar. The results were beyond our expectations. 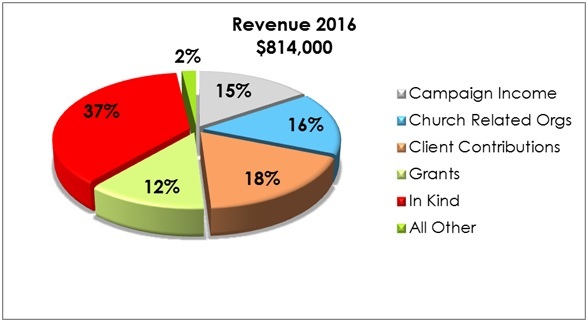 We received 52 qualified gifts, including 23 first time donors, for a total of $32,390. Added to the $15,000 challenge grant we received a total of $47,390. Thank you for your trust and support. Merry Christmas and Happy New Year. Our Lord Jesus knows no bounds. Our faith in Him emboldens us to imagine the unimaginable. Our theme for the 2016 fundraiser event is “What If”. Christian Author, public speaker and eternal optimist Dr. Rich Bimler will serve as our Master of Ceremonies. Save the date: March 16, 2016 at noon, Spanish Wells Country Club, Bonita Springs. In Argentina from a young age I believed in Christ. I participated regularly in a Hungarian Catholic community guided by father Domoncos. In 1986 I moved to the USA and did not return to the church until 2006 when I visited Amigos Center for an immigration consultation. Since then I have participated with the Amigos en Cristo Church and have once again returned to the path of God. En Argentina desde joven creía en Cristo, frecuentaba una comunidad católica húngara guiada por el padre Domoncos. En 1986 me mudé a USA y no volví a frecuentar la iglesia, hasta que en el 2006 me acerqué a Amigos Center por preguntas de inmigración y desde entonces me fui integrando a la iglesia Amigos en Cristo y volví a retomar el camino a Dios. My name is Eileen Ortegon. I’m a member of Amigos en Cristo since I came here in 2012. My father in law is a Lay minister and my husband is a member of the church. I was looking for a church that I could feel good and also that I could feel the presence of God in my life, that’s why I became an active member of this church because I liked so much the services and I felt good with Pastor Selle as a guide and a person. I liked the way that he always helps the community and the families in order to help them to keep together. I felt very blessed with him as a guide in our life so I married through Amigos en Cristo, and also my two children were baptized in the church. In addition, on the past November 1 my husband and I became official members of the Amigos en Cristo church through confirmation. We are very involved with the community and we want to keep helping Amigos en Cristo grow and people like us to find the way to be close with the kingdom of God. I would like to express my gratitude for all the help that Amigos Center has provided me over the years. I was first introduced to Amigos en Cristo after hurricane Wilma hit Immokalee. I volunteered to assist in caring for the children while their parents cleaned the much damaged community. I was immediately impressed by the sense of unity and the genuine will to help the community. Pastor Robert has since been there to help me and my family. Shortly after I married my husband, Pastor Robert offered us the opportunity to take part in a financial class by Dave Ramsey. I sincerely thank Pastor Robert and the Amigos Center for offering us this course, because it has definitely been a great financial tool for my marriage. The Immokalee Amigos Center informed me and my family that the Mexican Consulate was going to be at the Bonita Springs Amigos Center for one day. We were all able to get our passports and also were able to save a little on transportation to Miami thanks to the Amigos Center. When the Deferred Action plan for early childhood arrivals was approved, all of my paperwork was submitted by the Amigos Center Immigration specialists. I now have an employment authorization card and a driver’s license. I consider this a huge blessing. I am proud to also say that I am now employed as a secretary at the Immokalee Amigos Center. This is yet another blessing made possible by the Amigos Center. Since my employment began, I continue to witness the same sense of unity that caught my attention many years ago. It is also a great feeling to now be an official member of an establishment that genuinely wants to help the community. I cannot explain how great this feels. All I can say in conclusion is: Thank you Amigos Center.